Jesus came and took Leonard "Len" T. Dottle's hand on Thursday morning, leading him to be embraced by his beloved wife, Ann Wagner Dottle. Len was the son of the late Theodore and Verna Eck Dottle. He was a lifelong resident of Carbondale, who truly loved living there. Len's working history included operating "Lenny's Pool Room" in the 1960s, which was located on South Main Street, where Dunkin Donuts is presently located. He provided a safe, warm, friendly atmosphere for the young men of Carbondale to learn and enjoy the game; but, more importantly, how to behave and forge new friendships. No foul language was permitted and the guys respected that. Years later, when Len would run into the guys, they would tell him those were the best years of their lives. Len then moved on to work for "Harry Arnold TV" in Carbondale for a number of years. The job that most of his fellow Carbondaleans will remember him for was City Constable. Len held that position for over 30 years, working into his eighties. He was recognized as being a fair, sincere, and honest law enforcement officer, many times giving a few extra dollars to tide over some of his clients. 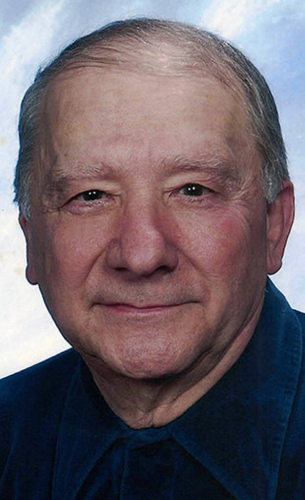 In his earlier years, Len was a regular player in the volleyball leagues at the Carbondale YMCA, and would play tennis at Ralph Althouse Court on the East Mountain. He greatly enjoyed golfing with family and friends, playing into his eighties. Len's family would like to recognize the loving, compassionate care given to him by his grandson, Kris Nichols and wife, Danielle, and great-grandson, Kolton. Without them, Len would never have been able to live alone in his home these last few years. A special thanks goes out to the staff of the Carbondale Nursing Home for the compassionate care given to Len during his short stay there. Also, a special thank you to Magistrate Sean McGraw for many years of of friendship and understanding. Surviving are two sons, Dave Dottle and wife, Mary Martha; and Lenny Dottle and wife, Donna Lee, all of Carbondale; grandsons, David Dottle; Kristopher Nichols and wife, Danielle; Matthew Dottle, Mark Dottle and Luke Dottle; a great-grandson, Kolton Nichols; and several nieces and nephews. He was preceded in death by a daughter, Ruthanne Dottle Nichols; two brothers, David Dottle and Bob Murtha; and a sister, Ruth McCann. Our family is now at peace with Len's passing, knowing that he is at last, once again, with the "love of his life," Ann Wagner Dottle, walking hand in hand through that golden meadow! The funeral will be Monday at 11 a.m. in the First United Methodist Church of Carbondale, with services by Pastor Donald Perry. Interment will follow in Our Mother of Sorrows Cemetery, Finch Hill. The family will receive friends at the church, from 10 a.m. until service time. Arrangements by the Brennan & Brennan Funeral Home Inc., 55 Lincoln Ave., Carbondale.